It’s rare in the podcast community to find a young voice behind the microphone. Most shows consist of 30-year-olds and up who have been around forever—they dominate the scene, leaving few opportunities for new and young individuals to give it a try. 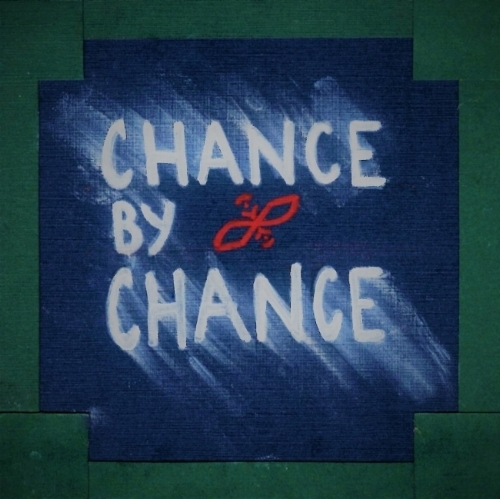 Chance by Chance is a podcast hosted by 21-year-old Stillwater native Chance Gilliam that revolves around young creators. The main mission of the show, as described on the website and reiterated in many of the episodes, is to give young people a resource to better their professional career. There is a lot of depth in this podcast, which has been running since December 2016, though it seems to lose sight of that mission statement. Each episode spotlights a different individual creator. Most are young and trying to find their place in the world, and most aren’t well known outside of local social circles. I appreciate this—from a personal perspective, I prefer to hear about local artists because it gives their voice a platform to expose their work to others. At the beginning of each episode is a bit of back story to give the listener a point of reference. Chance sometimes goes into great detail about his guests, and even if it can get a bit monotonous, it’s clear that the host puts a lot of passion into each episode. Then it transitions into an interview format; Chance asks questions that are personal and professional. There isn’t generally an overall angle or point that is being made—it’s more about giving someone the opportunity to share their experience. A casual audience may not find this podcast as interesting as the target demographic, which seems to be people who are struggling to find their identity in the subject they are studying. This isn’t necessarily a bad thing. It just makes it a more niche podcast, and podcasting is really all about niches. However, the one place it falls short is in fulfilling its stated mission. Chance states that the podcast was created to help, and to create a resource for people to use. However, although it succeeds at spotlighting local people, most of the interviews don’t give any kind of advice. It’s great to see someone else’s experience to understand the industry you are pursuing, but there isn’t anything concrete to use. Most of the guests have had some privilege or help getting where they are today—these interviews aren’t about Cinderella stories. The good intention is there, but the host is young, and that shows through. It’s not immaturity, but just lack of diversity when it comes to people’s experiences. As a result, Chance by Chance would be enjoyed most by young individuals who are looking for inspiration but not advice. It is a well-thought-out passion project with good intentions, the episodes typically aren’t long, and they do stay on subject. If you are a musician, this would be a great podcast for you to listen to in particular, as a lot of the episodes are focused on local or bands that haven’t hit any kind of fame yet. But there needs to be an adjustment when it comes to the mission statement; it’s ambitious, but it may be a bit too much.